Earlier this year, Google had launched +Project Glass contest and offered a unique opportunity to experience Google Glass in-person. I entered into the contest as well and my submissions can be found here. Approximately eight thousand winners were selected and I was not one of them. I have not yet decided if I will join the program and purchase the Glass Developer Kit which has a price tag of $1500. Trying to figure out business value for Google Glass; from an enterprise IT perspective, I’m not sure how we can use Glass currently. In addition, I don’t think any of our largest partners are working/developing for Glass – example: IBM, Microsoft, Oracle, etc. Since I am a technology enthusiast, I would like to get Glass for personal use anyway; it would create nice blog posts to share my experiences with especially how wearable tech is transforming user experience. 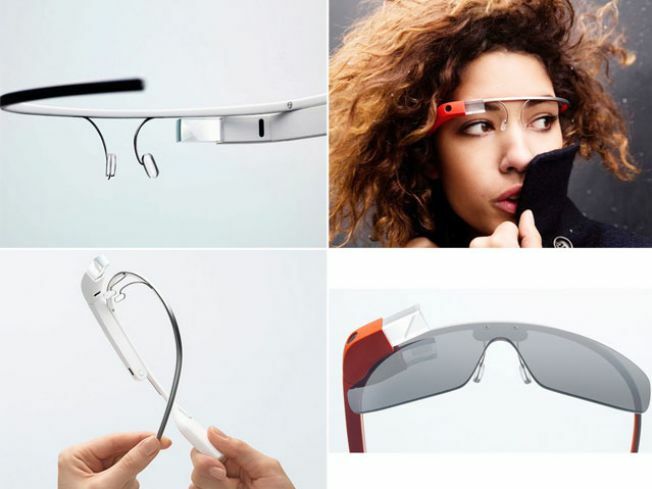 I would like to hear your opinion – Should I invest in Google Glass? Why or Why Not? #GoogleGlass is one of the best inventions of the Year 2012, part of an elite group that also includes Element 113, Tesla Model S, Switchblade Drone, and Indoor clouds to name a few. +Project Glass was first introduced in 2012 and gained a lot of hype with the commercial Promo Video they released. This brought about a lot of buzz in the tech world and social media. Google, being one of the smartest and innovative enterprises of our century, it has offered an exclusive opportunity to the 50 United States and District of Columbia to become a #Glass Explorer. A unique opportunity to experience Google Glass in-person in New York, San Fransisco, or Los Angeles. The only catch to the opportunity is that Explorers will each need to pre-order a Glass Explorer Edition for $1500 plus tax. 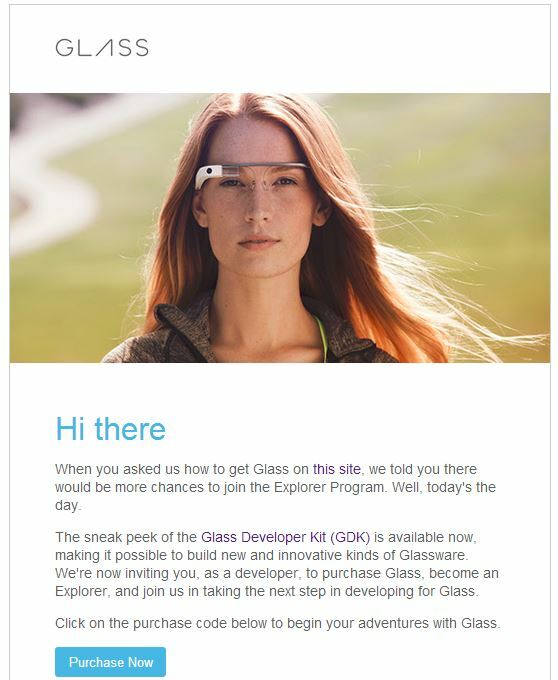 More information on Google Glass and how to enter can be found Here. 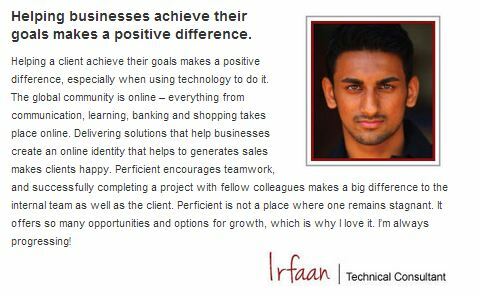 Working for Perficient for the past eighteen months and counting, has opened many doors of opportunities for my career and more importantly raised my standard of excellence. I feel that I am still in the early stages of my career since I set foot in the corporate world; however, I believe – how I plan and execute the next five years, will shape the rest of my future. Perficient had released a “Why Perficient” contest that was open to all employees of the company. This was part of the company’s website project for the careers page. Contestants had to answer questions about work but primarily share their personal stories of why Perficient is a great place to work. Perficient has over 1700 employees and only 10 were chosen. As a winner, our stories were posted on the Perficient career site and we received a small reward. LinkedIn Brilliant Marketing Campaign – Member Ego Booster! My first impression doubted the email at face value asking is this real or not? Out of 200 million members, including individuals who are CEO’s, Presidents, and Philanthropists of our society – how did I make it to the top 5% percent? 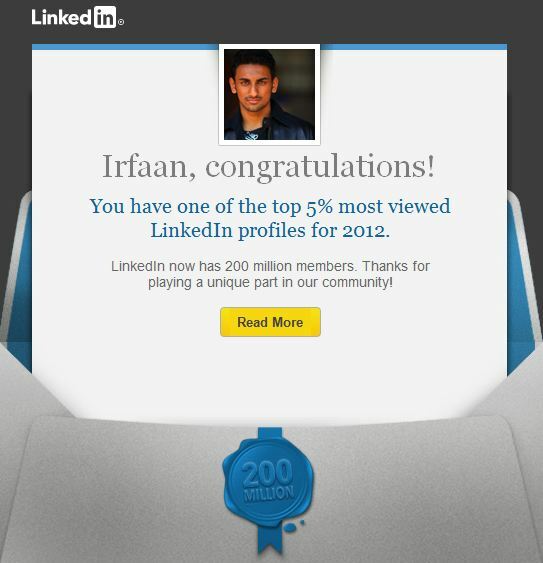 I do have an “All-Star” profile strength and over 800+ connections – being in the top 5%in 2012 is still too good to be true. When I started to calculate what 5% really meant, out of 200 Million members – 5 percent is 10 Million members. That means that I am 1 of the 10 MILLION people who received this congratulations email. This was more of a realistic figure and being One out of Ten Million is really not a big deal. At the end of the video, “Wow” was my first impression followed by a two minute halt on all my tasks and just thinking over the contents of the video. This moment was a hit of reality and a moment of realization. I now had desire to become better, to have a purpose, to appreciate life. Brief intro: “How do you like your relationship with your phone?” Did you know – Humans don’t multi-task, we switch very fast between single-tasks; and the more we do it the dumber we get, and the slower we become – almost 10 IQ’s lower and less efficient! We have an attention crisis! Click play and come to a new realization!